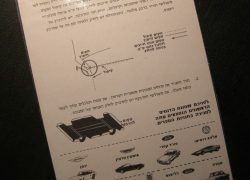 Item description: Jensen FF origami model from Israel. 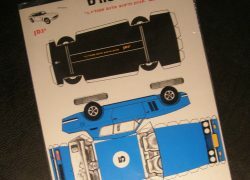 Undoubtedly the strangest Jensen FF model, is the origami card cut-out series, made in Tel Aviv, Israel by the toy firm Studio Gi in the late 1960s / early 1970s. These were available in four colours, blue, orange, red, pink. Condition report: New old stock, and remaining within its original plastic outer protective cover. Storage age only. 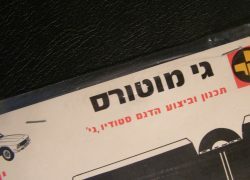 Special notes: We have not been able to find any further information regarding the firm Studio Gi. 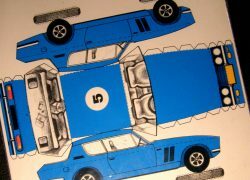 The origami model car range was made up of eight different vehicles, and all were available in the same four colours, blue, orange, red, pink. 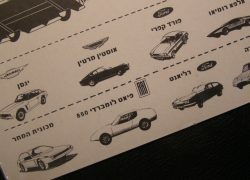 Provenance: Acquired indirectly from a family in Tel Aviv, who ran a toy store from the 1950s through to the 1970s. This model, along with other new old stock pieces had remained in storage since that time.